The White House has issued an executive order creating the American Technology Council. “Americans deserve better digital services from their government,” Donald Trump writes. “The Federal Government must transform and modernize its information technology and how it uses and delivers digital services.” The Council’s aim is to “coordinate the vision strategy, and direction for the federal government’s use of information technology (IT) and the delivery of services through information technology,” according to the order. The executive order further states that the Council will use IT to advise policy decisions. But, it “shall not extend to any national security systems.” The order also says that the director of national intelligence will be “encouraged” to provide access to classified information regarding cybersecurity threats, vulnerabilities and mitigation procedures. The biggest concern with the order is that it reads incredibly vague. Parsing what this group is and what it will do is difficult given how open-ended the Council’s description is written. Trump’s personal grasp on technology calls how he’ll lead the Council into question as well. He allegedly used an out-of-date and vulnerable Samsung Galaxy S3 handset as recently as early March, for instance. On the campaign trail, Trump also mused that Bill Gates could tell him how to shut down parts of the internet. And while the executive order focuses heavily on modernizing the White House, there are still several vacancies in existing technology and science positions in the administration. For example, a new US Chief Technology Officer wasn’t appointed within Trump’s first 100 days in office. Same goes for a replacement for the first-ever chief data scientist. Filling this Council with people from outside the Trump administration (specifically from Silicon Valley) may prove difficult. The tech community has repeatedly railed against the president, saying that he’d be “a disaster for innovation.” That’s in addition to collectively being an outspoken critic of the immigration bans. The White House’s silence on open data and open government — hallmarks of the Obama administration — doesn’t help much either. We’ve reached out to the White House for additional information and will update this post should it arrive. Verizon has long had a strong interest in connected cars, and it’s no surprise as to why: it stands to make a lot of money if your ride is constantly transmitting drive data or streaming music. It would only make sense that the telecom wants in on self-driving cars, then. To that end, Verizon’s venture wing has invested in Renovo, an automotive startup that has lately turned its attention to creating a platform that would help manage a whole fleet of autonomous vehicles. Renovo wouldn’t be taking Tesla head-on with this tech — it would be focused more on ridesharing and other services where driverless cars would need to work in harmony. The carrier hasn’t said how much it’s investing in Renovo, although it’s part of a larger $10 million funding round. This is less a huge bet and more about getting a foot in the door. Even so, it’s a potentially significant move. If Verizon can help get this technology off the ground, it’s creating a customer base for itself — those thousands of connected cars will need someone to bring them online. That, in turn, will help Verizon remain involved in transportation even if its current efforts grow obsolete. 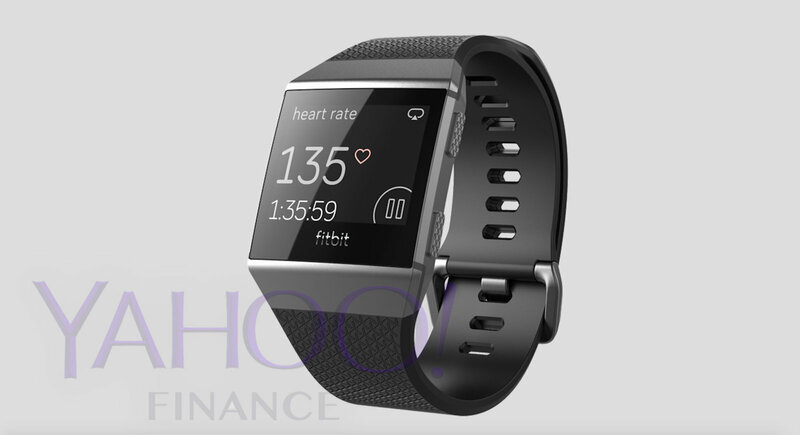 We’ve heard that Fitbit was having trouble developing its upcoming smartwatch, but based on a batch of leaked photos obtained by Yahoo Finance, it looks like the company is making progress. Codenamed “Project Higgs,” it’s Fitbit’s first “proper” smartwatch; last year’s Blaze was basically just a fitness tracker that looked like a watch. In many ways, the new product looks like a refined version of the Blaze. It swaps out the clunky octagonal design for a more traditional square face, and it features a metal unibody case, which adds some colorful accents around the screen. Sources tell Yahoo Finance that the smartwatch will feature built-in GPS, heart-rate monitoring and a display with 1,000 nits of brightness, like the most recent Apple Watch. Additionally, it’ll be able to make wireless payments, play music from Pandora and have around four days of battery life. Software-wise, it sounds like Fitbit is sticking with its own OS, instead of jumping aboard the Android Wear bandwagon. Unfortunately, it likely won’t have an app store at launch. Instead, you can expect a few apps customized for the device. Fitbit will also be taking on Apple’s BeatsX wireless headphones with its own pair, codenamed “Parkside.” It’ll hang around your neck and feature a slight metallic accent. 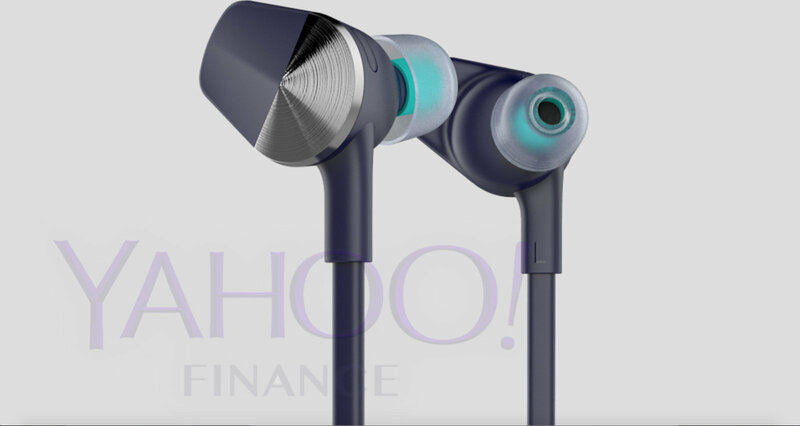 We don’t know much about its features yet, but based on the leaked images it looks like a typical pair pair of wireless earbuds. Given that this is a completely new category for Fitbit, I’m particularly interested in seeing if the company brings something new to the table. While Fitbit’s smartwatch was originally slated for a launch this spring, the production delays have pushed it into later this year. You can expect it to be available in the fall for around $300. The wireless headphones will likely drop around the same time for $150. Not surprisingly, Yahoo’s sources claim Fitbit is betting big on these new products. The company recently laid off six percent of its workforce, and it’s weathering a general downturn in the wearables market. Samsung’s ambitions to be a player in the self-driving car space aren’t new, but today the company hit a big milestone. The company’s home country of South Korea has approved Samsung’s plans to test self-driving cars on real roads, not just test courses. According to the Korea Herald, Samsung isn’t building cars itself. Instead, the company is working on developing sensors and computer parts that are backed up by its artificial intelligence and deep learning software. The car itself that’ll be hitting the road is a Hyundai customized with Samsung’s own gear, but little else is known about exactly what sort of technology Samsung is providing. It sounds like a similar situation to Apple’s own self-driving car that hit the road in Silicon Valley recently — though Apple’s Lexus is using plenty of off-the-shelf parts right now, it also likely contains some custom hardware of software on board. Both Apple and Samsung are likely angling to be providers or partners with auto-makers in the future, offering up their self-driving solutions. The permit Samsung was just granted in South Korea is just the latest in a flurry of self-driving activity in the country. Nearly 20 test permits have been granted by South Korea’s land ministry in a little over a year, with Hyundai being the first to get government approval. While Samsung is keeping fairly quiet about what it’s doing in the self-driving space, the rapid pace of development and intense interest in projects like this mean we’ll likely hear what Samsung is working on in more detail before too long. Self-driving car technology is rapidly becoming a crowded space, so we’ll have to see what Samsung thinks it can offer to stand out in the pack. You might not have to wait too much longer to see Apple’s fabled smart speaker… though buying it may be another matter. Well-connected KGI analyst Ming-Chi Kuo claims that Apple will introduce its Siri-equipped speaker (labeled by Kuo as Apple’s “first home AI product”) at its Worldwide Developer Conference in early June. And to no one’s surprise, it would be pitched as a premium alternative to the Amazon Echo — a subwoofer and seven tweeters would deliver “excellent” sound. It would also tout a more powerful processor (comparable to the A8 or A9 in previous-generation iPhones) and, naturally, tight integration with other Apple devices. The main problem? You might be waiting a while. Kuo understands that it’d arrive sometime in the second half of the year. That could mean July, but it could just as easily mean the fall. There would be a good reason for introducing the speaker months ahead of launch, though. If Apple wants developers to take advantage of the speaker (just as the Echo has “skills”), it needs to introduce them to the hardware’s capabilities ahead of time. In that sense, the wait wouldn’t be so bad. The Siri speaker would (hopefully) ship with support for many of the services you take for granted, not just Apple’s own. With that said, Apple still faces pressure to launch something relatively soon. Amazon isn’t likely to be sitting still, and may have a touchscreen Echo in the works. And while Google Home isn’t as big a competitor as the Echo, its skill set is growing rapidly. Apple may need to move quickly if it wants to carve out a sizable chunk of the market, especially if it wants to court more than just loyal iOS users. Self-employment, the MPs argue, is for the benefit of the businesses, rather than their couriers. Such a setup maxmises profit, as traditional employees are entitled to benefits such as parental pay, protection against unfair dismissal, and time off for emergencies. Contractors who submitted written evidence for the report also argued that the promise of flexibility was, in fact, a myth. One Uber driver said the influx of contractors meant he had to work longer hours to earn a respectable wage. A Parcelforce courier said they had “no flexibility or choice” over their hours, and regularly worked 6am to 5pm, if not longer throughout the week. The MPs admit that most companies aren’t breaking any rules. “Businesses should of course be expected to seek out opportunities and exploit them,” the report reads. But it’s for the government to close these loopholes, the committee argues, and tackle the growing knock-on effect — lower tax revenue, mainly through National Insurance Contributions, and mounting pressure on the welfare system. “Companies in the gig economy are free-riding on the welfare state, avoiding all their responsibilities to profit from this bogus ‘self-employed’ designation while ordinary tax-payers pick up the tab,” Frank Field MP, chair of the committee said in a statement. To tackle this problem, the committee argues that drivers and couriers should be classified as “workers” by default, rather than “self-employed.” Legally, that would give contractors access to some employment rights, such as minimum levels of paid holiday, without being a full-blown employee. Such a system would help protect drivers and force companies to prove why they should have a different business model. Technically, there is no “worker” status in tax law, so the self-employed would be treated the same by HMRC. It would, however, grant them some extra rights while better defining their relationship with technology companies. When Hulu debuted its plans to stream live TV in addition to its day-after offerings there was a big peacock-shaped gap. That’s changed. Today the streaming company announced that it’ll have programming from NBC-and-Telemundo owned networks available when the live-streaming service launches. That means you’ll be able to watch Saturday Night Live, well, live, in addition to programming from USA, Syfy, E! and MSNBC. Oh, and when the Olympics return, you’ll be able to watch them as the games happen. If you’re keeping track at home, that means Hulu will have all four major broadcast networks on offer in addition to its on-demand library. Basically, $40 will get you a pretty generous basic cable package, all without a cable subscription. Here’s to hoping that the company can ink a deal with Viacom as well. Sony’s PlayStation Vue service doesn’t have one, and MTV and Comedy Central’s absences are pretty glaring. By comparison, NBC properties are only available in “select” markets via Dish Network’s SlingTV. Confusingly, the only way to get NBC with Sling is to sign up for its more expensive “blue” package, which eliminates ABC as an available add-on channel, according to the service’s website. PlayStation Vue only has CBS available as a live-streaming option — ABC, Fox and NBC are only available on-demand. Of course, if you’re a cord cutter worried about eating through your data cap and all you’re after are local channels, you could just buy an HD antenna for your TV. And should you not want to base your schedule around what’s on TV and when, Tivo sells a DVR that works with over-the-air broadcasts. Hulu’s live-streaming service is expected to launch sometime this spring. Apple will begin selling iPhones directly through its website in India later this year, according to local newspaper The Economic Times. Apple plans to make the iPhone SE available on its online store by October, in time for the Indian festival Diwali, followed by other iPhone models once it expands local production to include the rest of its smartphone lineup. Apple manufacturing partner Wistron is expected to begin iPhone SE assembly at its Bengaluru facility by the end of June, satisfying India’s requirement that 30 percent of products sold by foreign companies be manufactured or produced within the country. Thus, the iPhone SE can soon be sold on Apple’s website in India. Wistron will begin assembling the iPhone 6 and iPhone 6s over the coming weeks too, The Wall Street Journal previously reported, so those older models could eventually be added to Apple’s online store in India as well. Apple’s website in India currently has a “Where to Buy” page for all iPhone models, directing users to resellers Airtel and Vodafone. Apple may also sell some accessories sourced from India on its online store in the country, according to today’s report. Apple is expected to open its first physical retail store in India as early as 2018, and the company is reportedly looking to open four to five flagship-class stores in the country over the next five to ten years. Samsung is rumored to be looking into a potential acquisition deal with Taiwan-based PlayNitride, specifically for the company’s micro-LED technology, as Apple’s micro-LED ambitions for the Apple Watch stretch into 2018. According to sources speaking with OLED-Info, Samsung is willing to offer up to $150 million for the company, and would use the micro-LED tech for VR applications and television sets in the future. Another potential reason behind Samsung’s interest in PlayNitride might be related to Apple and an upcoming version of the Apple Watch. Apple has been predicted to switch its wearable device over from an OLED display to micro-LED as soon as 2017, but it’s more likely that micro-LED screens will hit an Apple Watch device in 2018, according to reports from sources in Apple’s Longtan District plant in Taiwan. Apple Inc is expected to crank out a small volume of next-generation Micro-LED displays from a plant in Taoyuan by the end of this year for its wearable devices, an IDC analyst said yesterday. The US technology giant is forecast to begin mass production of Micro-LED displays at the plant in Longtan District (龍潭) next year, ahead of rival display makers, IDC analyst Annabelle Hsu said. If accurate, a late 2017 ramp-up for a 2018 product launch would align with Samsung’s entry in the micro-LED supply chain thanks to PlayNitride. Reports surrounding PlayNitride state that the company doesn’t plan on beginning to produce micro-LED chips until later in 2017, meaning that the display maker and Samsung — if it acquires PlayNitride — wouldn’t be added as potential Apple Watch supply sources until 2018 or later. According to an industry insider in Taiwan, Samsung is set to acquire Taiwan’s PlayNitride for the company’s micro-LED technology for around $150 million. Our inside says that Samsung aims to develop micro-LED based displays for VR applications, but may also look into micro-LED based TVs using PlayNitride’s technology. All this means that Samsung may be just hedging its bets and gaining a foothold in an interesting and promising next-generation display technology. A $150 million investment is substantial – but Samsung is also spending billions of dollars to expand its OLED production capacity so it’s unlikely that Samsung actually considers micro-LED as a replacement for OLEDs, unless maybe for specific applications. In regards to advantages of micro-LED, devices with the screen technology have the chance to be thinner, lighter, see an improved color gamut with increased brightness, and sport higher resolutions. Still, there remain numerous technical challenges that make micro-LED difficult to mass produce, making some analysts believe that true commercialization of the technology won’t be reached until 2020. If Apple tries to build an Apple Watch with micro-LED this year or next, the company could face potential hurdles with the new technology, similar to what is rumored to be happening with the iPhone 8 and its switch to the new OLED screen. A few years ago Apple itself acquired a micro-LED display maker, LuxVue, but the company hasn’t given any updates on the progress of its micro-LED development since then. At the time, a LuxVue investor said that the company had made “a technical breakthrough in displays.” Also believed to be a focus of Apple’s micro-LED efforts is a facility in northern Taiwan. While Apple’s timing for micro-LED technology remains unclear, Apple Watch Series 3 is rumored to come with an all-new glass-film touchscreen in place of the current touch-on-lens solution, although it’s not certain how such an update would affect users. Rumors still conflict as to whether or not the Series 3 edition will mark the Apple Watch’s first major design change, or be another iterative addition to the lineup with a focus on battery life improvements. Apple has added Spike and Nickelodeon, including Nick Jr., to the universal search function on the fourth-generation Apple TV. For those unfamiliar with universal search, it allows users to use Siri or input text-based searches to find TV and movie content across a wide range of channels. At launch, universal search only supported a few channels, but Apple has been rapidly expanding the feature to encompass additional channels. Apple TV universal search is available for a wide number of apps in the United States, but the feature is limited to iTunes, Netflix, and a few other services in Canada, France, Germany, Mexico, the Netherlands, Norway, Spain, Sweden, and the United Kingdom. Elsewhere, only movies in iTunes are supported. Relatedly, Apple’s new TV app now supports the apps Crackle, Filmstruck, and Freeform on iPhone, iPad, and Apple TV.